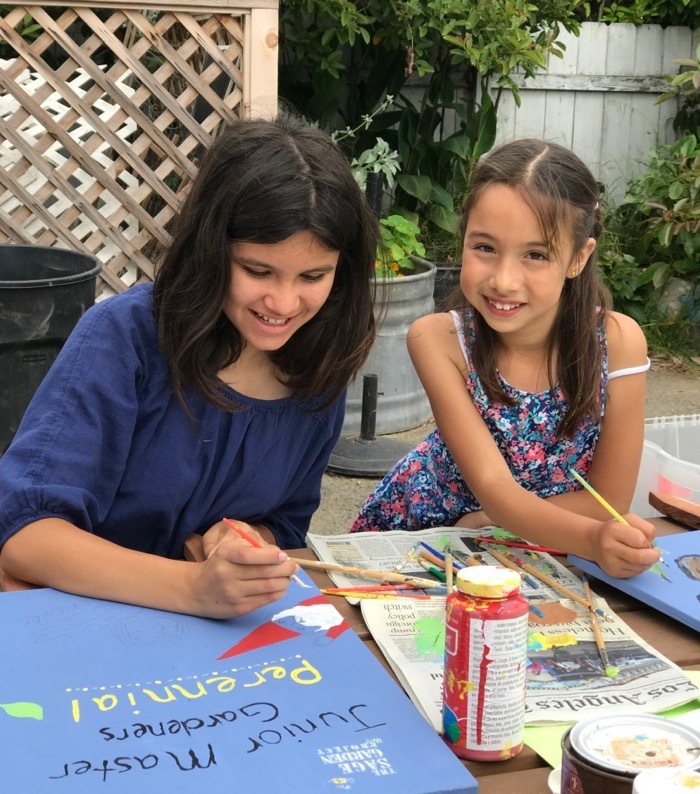 Maria and Shayla, like busy garden gnomes, painting signs for their school garden. This happens near the end of every school year... oddly, it gets simultaneously calmer yet more chaotic, some things close and finish, and some things become more hectic, more demanding, busier. We are there. Big projects, performances, exhibitions, field trips and sixth grade traditions fill our calendar.. And even as we are reeling a bit from all that, there are classes that have already met for the last time, and Maria has noted, sadly, "This really is the very last time, Mom. No more school kitchen, or garden. No more yoga. The last concert is Thursday." These very last times are hitting home for us, as we prepare to close the door on grade school, on days at a place we loved from the start, and have come to love and appreciate more and more with each year. Each of us, in our own way, is experiencing the realization that as the days go by, we are entering a new era, with new plans, in new spaces... which is exciting, but what we leave behind will be sorely missed. Speaking of new... there is one interesting aspect to this transition that I need to figure out and familiarize myself with. We've never lived in one place for as long as we have lived here, in the Bird House, in this town. We aren't going anywhere, and neither are our friends, or the school garden, or the community we have become a part of, and there may very well be connections we can retain and opportunities to experience, and enjoy, even if Maria moves on from her grade school. What a comforting, intriguing notion, and what hopeful possibilities. The sweet and the bittersweet -- swirling through everything this time of year most certainly. Meanwhile, you truly have nested at your perfect place, and so can let go of what passes by as you stay so rooted and connected -- perfect.